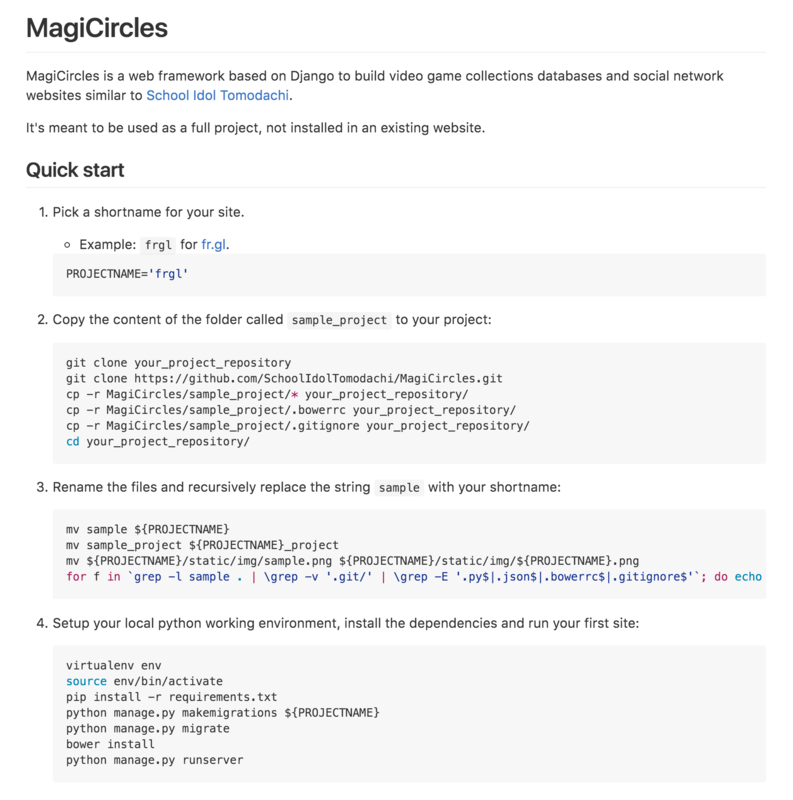 MagiCircles is a web framework to build collections databases and social network websites. Its core features are: - Collections: a powerful way to link a database table and its views item/list/add/edit - A full-featured social network: activities, likes, comments, notifications, ... - Customizable profiles - Many pages provided by default: map, wiki, ... - A default layout made with Bootstrap - Very few lines of code required to get a full featured website - Highly customizable to fit your needs - Translated in many languages ! 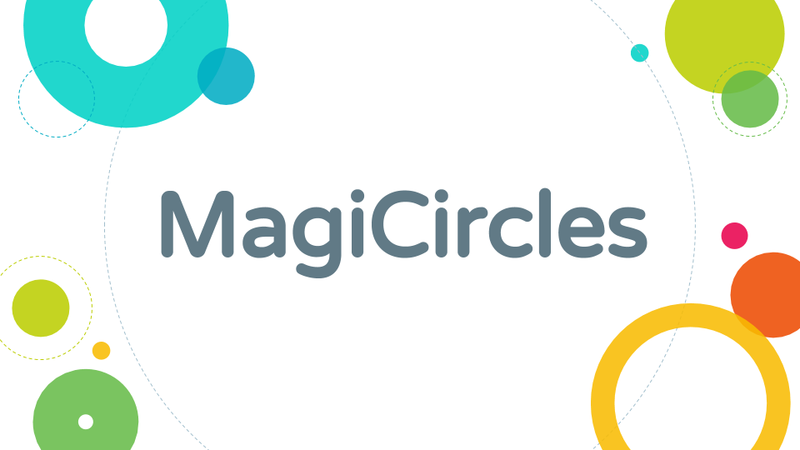 (http://i.imgur.com/DfNfUYB.png) *** MagiCircles was born after the success of [School Idol Tomodachi](http://schoolido.lu/), a database and community website for a mobile rhythm game players, and the **high demand for similar websites**, but for other games. School Idol Tomodachi was built as users asked for features. As for any rapidly growing project, some of its features worked, some didn't, some were sustainable for growth, some weren't. MagiCircles was built with these valuable lessons and experiences in hand. The result: an easy to use, generic yet extremely powerful and extensible web framework. 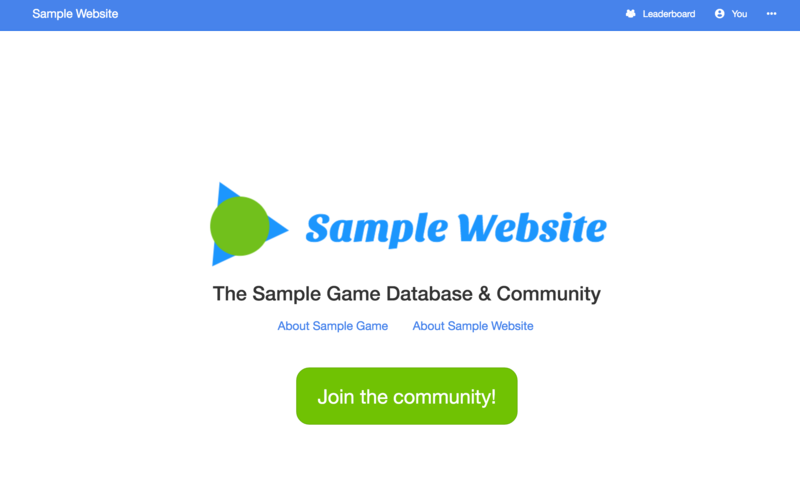 Using MagiCircles, db0 was able to build an entire full-featured social network and community website for the popular game [Pokémon GO]() - [Stardust Run](http://stardust.run/) - in only **7 days**, and 2 more websites came up shortly after.